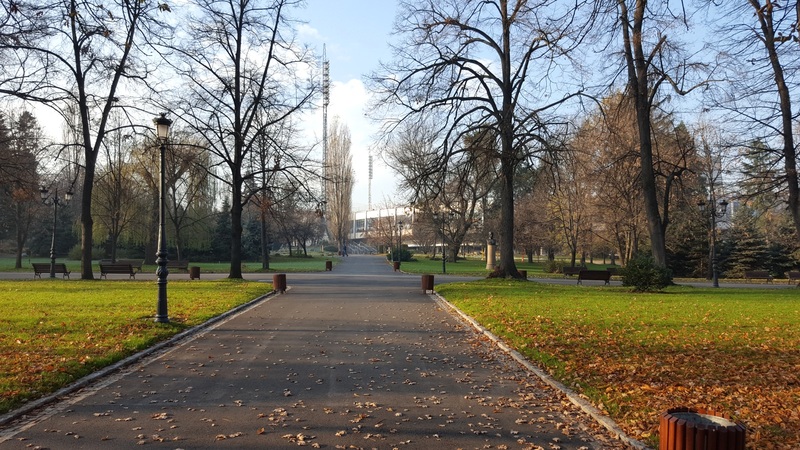 The communists called it “Freedom Park”: Borissova Gradina is the largest and oldest park in Sofia. Most of it is actually a forest. 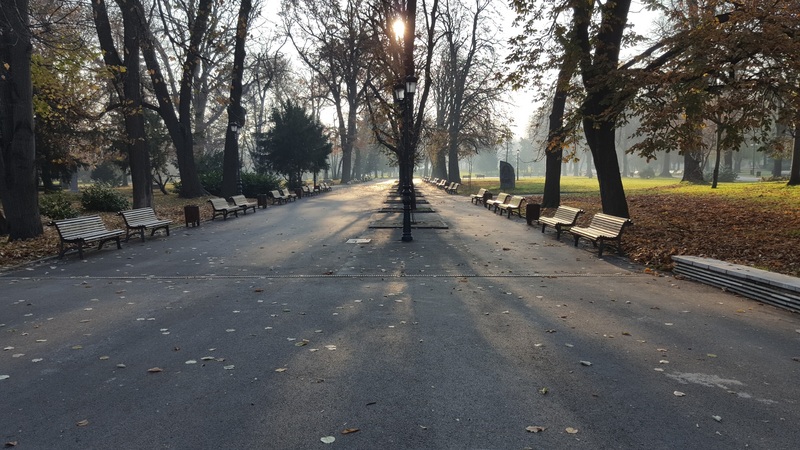 The park spreads from the city center all the way to the Izgrev and Iztok quarters of the city. It is an oasis of quietude in this rather loud city, as well as a source for some cleaner air in the most polluted city in the European Union. Without Borissova Gradina, the Diesel clouds would rule the Bulgarian capital even more than they do anyway. It started in 1882, when mayor Ivan Hadzhienov commissioned the Swiss gardener Daniel Neff. The task was to create a big park. Over time, other famous gardeners were in charge, who kept on changing the park step by step. Back then, it became a place for relaxation and nice weekend walks. 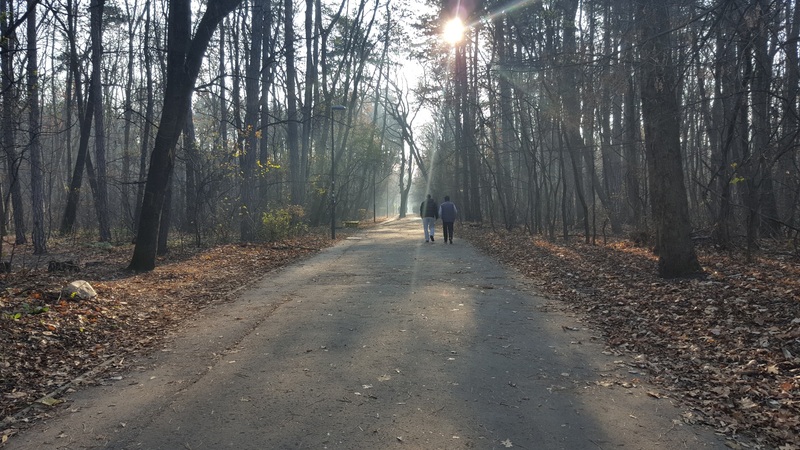 Today, Borissova Gradina is not just a great place for children to play in, or for lovers who feel like holding hands during a romantic walk, but it is also necessary, since of the severe air quality issue. The National Stadium is located on one corner of the park. Photo: Imanuel Marcus. This Sunday morning, at 9 a.m., some 15 dog walkers circled the big lawn at the northwestern end of the park. Two Golden Retrievers, one poor doggy which had issues with its back legs, and lots of other puppies of all sizes, were chasing each other there, while the owners were busy with coffee in tiny plastic cups, cigarettes and smart phones. Some of them could have used a few more hands, since they were carrying leashes as well. At the Russian victory monument, a bit further east, a well trained gentleman parked his bicycle, in order to start a strict looking gymnastics regime. He seemed to enjoy the fact that he had an audience, consisting of two-legged and four-legged fans, who admired him a lot. At least that was what he seemed to think. At the same time, an elderly lady cleaned up behind her Cocker Spaniel with a plastic bag. The Ariana Lake is dry in winter. During the warm months, a boat rental is operational here. Photo: Imanuel Marcus. The brand new playground was deserted at this early hour. Recently, the city removed two kiosks, while getting rid of the rather old-fashioned playground at this location. 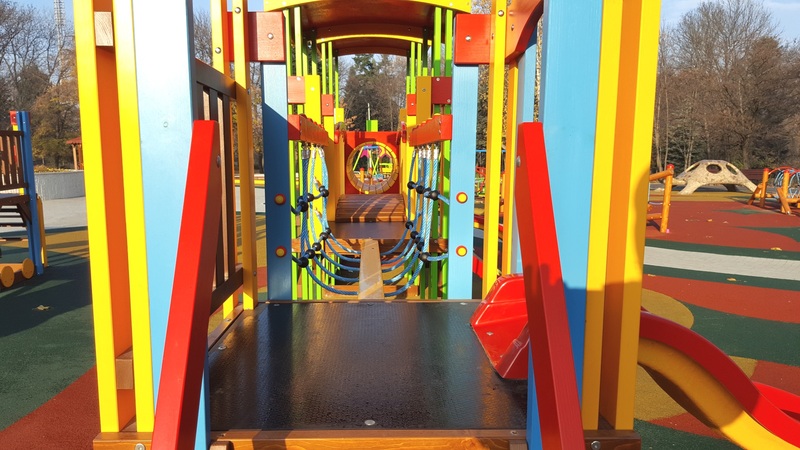 The new one offers lots of new climbing attractions and slides, mainly for smaller children, and a secure rubber ground, which will prevent injuries when the little ones fall. 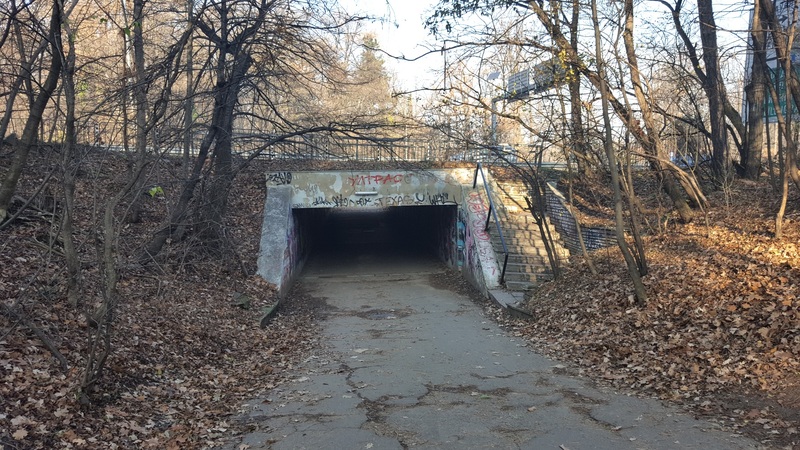 An elderly man rode his bike through the tunnel located in the middle of the park, which connects the two parts separated by Boulevard Yavorov. Further east, joggers did their rounds, some at impressive speeds. All of them were wearing headphones. A daddy played with his 3-year-old son at Kokolandia, a climbing playground for kids of all ages, which opens during the summer months. 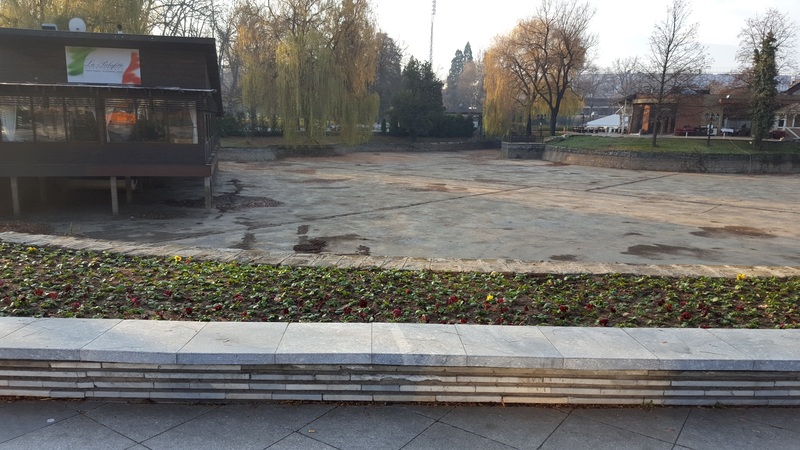 The park features the best playground in Sofia, for smaller kinds. Photo: Imanuel Marcus. 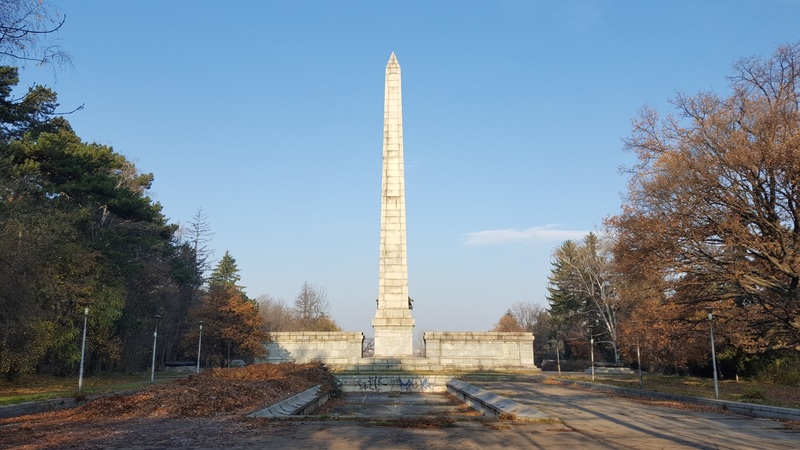 In this part of the park, traffic on Tsarigradsko Chaussee can be heard in the distance, the city highway extending from Sofia’s city center all the way to Trakia Highway, which leads to Burgas, at the Black Sea coast, some 380 kilometers away. 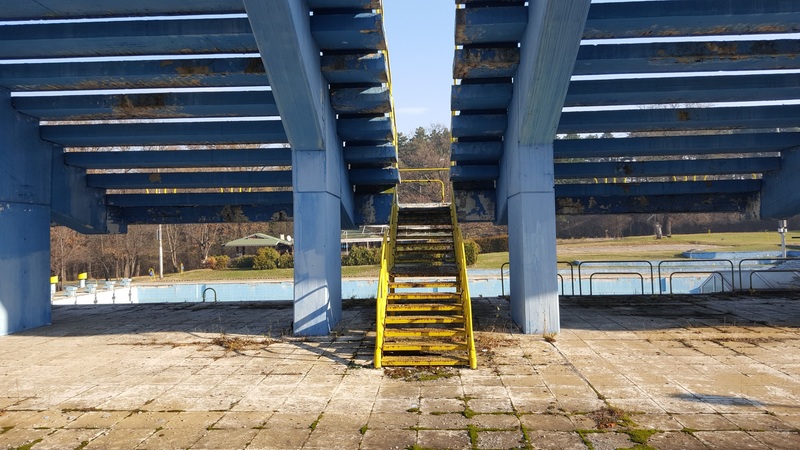 Borisova Gradina also harbours an old telescope, a tennis club, a pizzeria, an abandoned swimming pool and the CCK Stadium. The artificial lake, at the end facing the city center, was still dry this morning. During the winter, it usually harbors an ice rink. Tired of Diesel clouds, noise and all the rush? This is your place. The Luiza Pool has been closed for many years. Entry is forbidden. Photo: Imanuel Marcus. 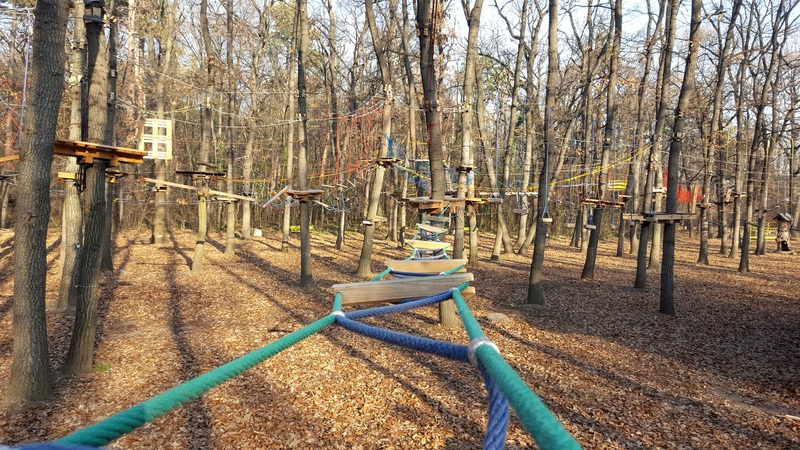 “Kokolandia” is a great climbing place for kids, located on the eastern side of the park. Photo: Imanuel Marcus. 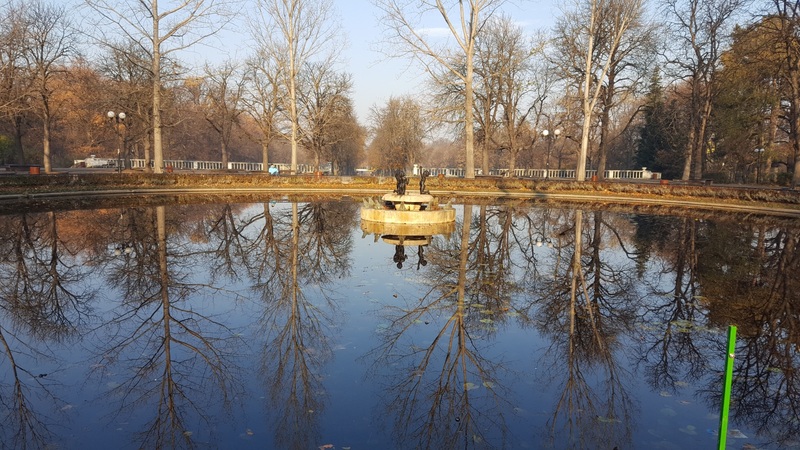 In winter the air in Sofia is so terrible, the park can improve it to a certain extent only. Photo: Imanuel Marcus. The old tunnel connects the two parts of the park, on both sides of Boulevard Peyo Yavorov. Photo: Imanuel Marcus. Lots of rather big frogs live in the Lily Lake. Photo: Imanuel Marcus. This old Soviet memorial would be the next photo op, east of the lake. Photo: Imanuel Marcus.